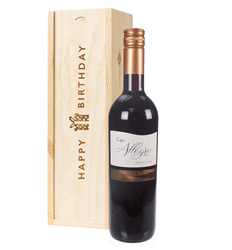 This Merlot looks great and tastes just as good. 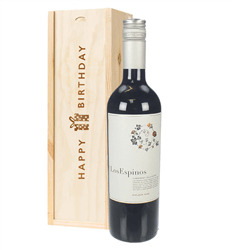 Its what you would expect from a good rounded merlot, produced from the Los Espinos vineyards based in the Central Valley of Chile. 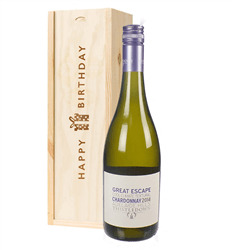 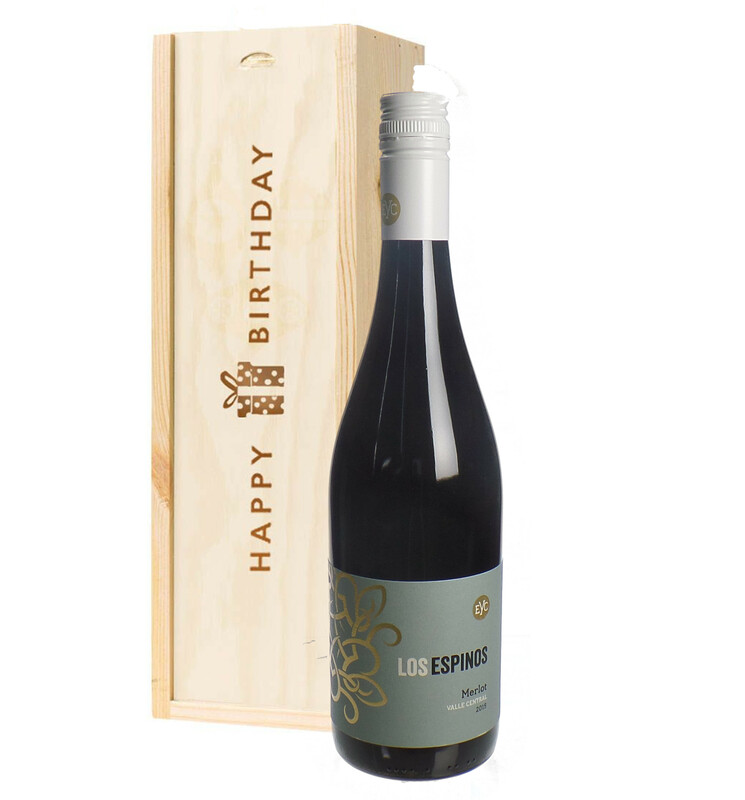 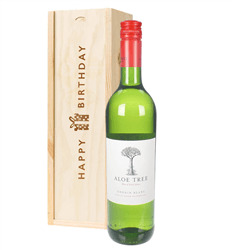 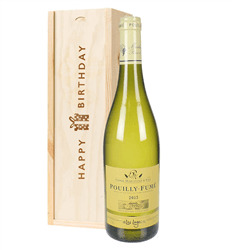 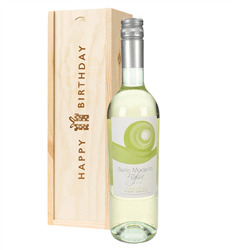 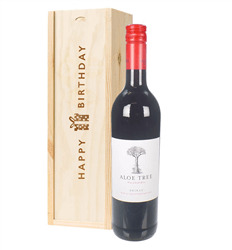 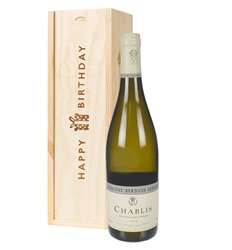 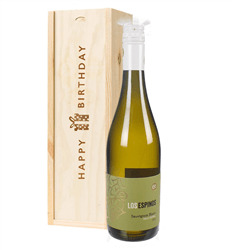 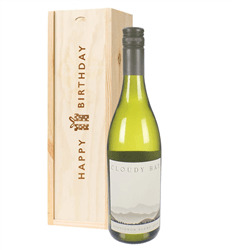 The wine comes presented in one of our 'Happy Birthday' branded wooden gift boxes so it really gets the birthday message across.